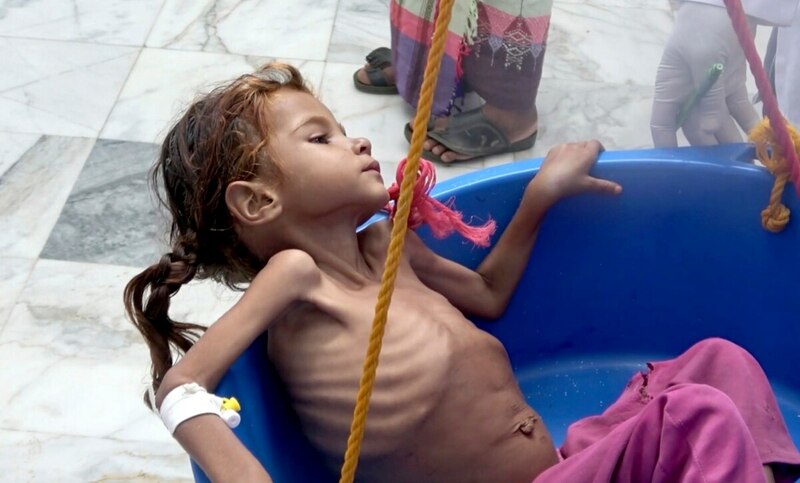 CAIRO — Five international charities on Monday urged the United States to halt all military support for a Saudi-led coalition fighting Yemen’s Shiite rebels, saying this will save millions of lives. The toll from U.S drones in Yemen runs in the hundreds, including both militants and civilians. If it doesn’t cease its military support for the coalition, “the United States, too, will bear responsibility for what may be the largest famine in decades,” the charities said. A survey commissioned by one of the charities, the International Rescue Committee or IRC, found that 75 percent of Americans surveyed oppose U.S. weapons sales to Saudi Arabia and the UAE. The YouGov survey also showed that at 82 percent of respondents believe Congress should vote to end or decrease arms sales to the two Gulf Arab countries. David Miliband, president of the IRC, said America is "fueling a crisis that has severe consequences for millions of civilians." International outrage over the killing of journalist Jamal Khashoggi by Saudi agents in October in Turkey has also focused attention on Yemen's civil war, prompting the U.S. to scale back its support for the coalition and call for a cease-fire by the end of this month. In March 2015, the U.S.-backed, Saudi-led coalition unleashed a full-scale military campaign against Iran-allied Houthi rebels who had captured most of Yemen including the capital, Sanaa, a few months earlier. Tens of thousands of people are believed to have been killed in the war, and two-thirds of Yemen’s 27 million people rely on aid. More than 8 million are at risk of starvation in what has become the world’s worst humanitarian disaster.